Free and open-source cloud computing platform OpenStack could reach an estimated market size of $1.7bn by 2016, according to a report from analyst firm 451 Research. The OpenStack Pulse 2014 report revealed that the open-source cloud computing project has seen increased momentum as more developers, suppliers and users have collaboratively built out OpenStack's capabilities since its release in 2010. The open-source infrastructure as a service (IaaS) initiative began as a joint project between Nasa and managed cloud provider Rackspace in 2010. Since then, it has had backing from several IT giants, including HP, IBM, Intel and Red Hat, among others. Proprietary cloud platforms such as Amazon Web Services (AWS) and VMware are OpenStack’s biggest rivals. The OpenStack application programming interface (API) has also been deployed as a cloud infrastructure by several high-profile organisations, including eBay and Cern, because of its key features – interoperability of workloads, freedom from supplier lock-in and open-source APIs. “Today, the project has evolved into a top priority for many IT professionals and suppliers,” said 451 Research analyst Al Sadowski. The open-cloud platform’s attractiveness to enterprises and service providers is associated with the benefits of open-source software in general, including flexibility, cost savings, avoiding supplier lock-in and the ability to customise for integration with other infrastructure and applications. This is whether being used by traditional datacentres, public or private clouds, or for virtualisation, according to the analyst. “Another key advantage is modularity, which can enable a diverse and vital ecosystem via add-ons and plug-ins,” he added. But one of the biggest drawbacks of OpenStack is its complexity. “The trouble with OpenStack is that it is open source and we don’t have a supplier to go to that will fix our problems,” Suneet Nandwani, head of cloud engineering at eBay, had said earlier when speaking at the sixth annual Cloud World Forum conference in London. Ebay runs one of its most crucial workloads – its website – on an OpenStack private cloud platform developed by itself. “Our cloud problems are ours to deal with,” he said. The most recent research report found that OpenStack implementations still require a great deal of technical expertise to deploy. Additionally, concerns with the overall reliability, load balancing and the scalability of the Neutron networking project mean that it is still not appealing to many enterprises and service provider organisations. “The open-source cloud software is still very complicated and difficult to install and manage amid a lack of talent and expertise,” said Sadowski. But the report revealed that there continues to be enormous demand for OpenStack architecture and development expertise, especially in Silicon Valley. “We expect opportunities to monetise the technology to persist, particularly within the higher management layers of OpenStack,” he said. 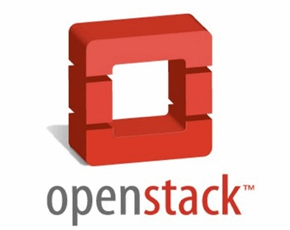 The report also found that OpenStack revenue is growing quickly. However, it is still relatively small compared with VMware (private cloud), AWS (public cloud) and Red Hat Linux (distribution). With an estimated market size of $1.7bn by 2016, the openly collaborative governance currently used to determine release functionality will be put to the test against the OpenStack suppliers' desire for greater profits and market share, concluded Sadowski. “We definitely see great value in open-source technologies like OpenStack,” Cern’s infrastructure manager Tim Bell has previously told Computer Weekly.